What Does Density Mean For A Memory Foam, And How Do You Compare Different Density Memory Foams? 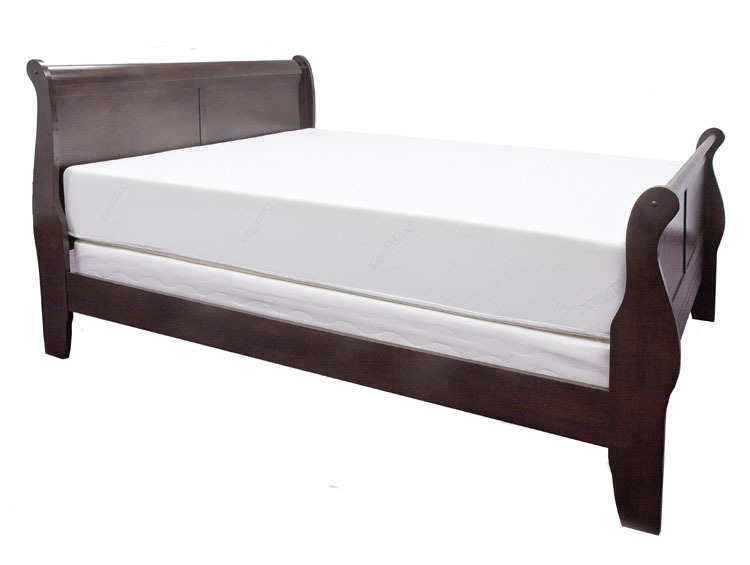 Over the years, mattresses using memory foam have become known as “memory foam mattresses”. But I’ve found that there is a lot of confusion over what exactly this means. What this doesn’t mean, to many people’s surprise, is that the mattress is made completely or even mainly of memory foam. Instead, memory foam mattresses typically have a basic “core” of standard polyurethane foam (often 5 – 6″ thick) that serves as the support layers of the mattress. And then on top of this is put layers of memory foam (from 2″ to 4+”, depending on the feel the mattress manufacturer is going for). There is a saying that “beauty is in the eye of the beholder.” That is true not just for beauty, but when is comes to memory foam mattress firmness, or any mattress’ firmness for that matter. What that means is that what one person thinks is a mattress that is too firm, another may think is too soft. Is That Really a King Size Memory Foam Mattress? Every now and then, we get a call from someone who thinks they have been sent the wrong size memory foam mattress because they lay it out on the foundation (still in the plastic) and it is too short and too narrow to be the size they ordered. I assure the customer to open it up and they will find that it does come back to size very quickly. In fact, our memory foam mattress is at 90% of its full size and ready to use in just one hour. You can put your mattress protector and sheets on it and use it at that time. It will take an additional 24 – 48 hours for the mattress to be at 100%, but it will not harm the mattress (and you won’t know the difference) one hour after opening it. Author Angela L. HensleyPosted on July 11, 2016 Categories memory foam mattressTags memory foam mattress, memory foam mattressesLeave a comment on Is That Really a King Size Memory Foam Mattress? I hear from a lot of people who are concerned about odor and memory foam. Some have even shared stories about memory foam odor that was so foul and strong that it made them sick. Not surprisingly, the memory foam mattresses with the horrific odor usually come from China. As you may know just from the news stories about problems with children’s toys, China simply does not have the quality control that we have in the United States, Canada, or Europe. Our advice to memory foam purchasers, no matter where they buy, is to stay away from any memory foam product made in China. We get the question about the firmness of memory foam quite often. Memory foam mattresses can be super soft, where you sink way in and may even feel like you can’t roll over. Memory foam mattresses can also be firm, where you sink in just slightly and have firm base foams for support.